This shark cake looks like it’s about to swim right up to you and take a bite! Featuring a gravity-defying structure, flexible edible seaweed and Jell-O water. 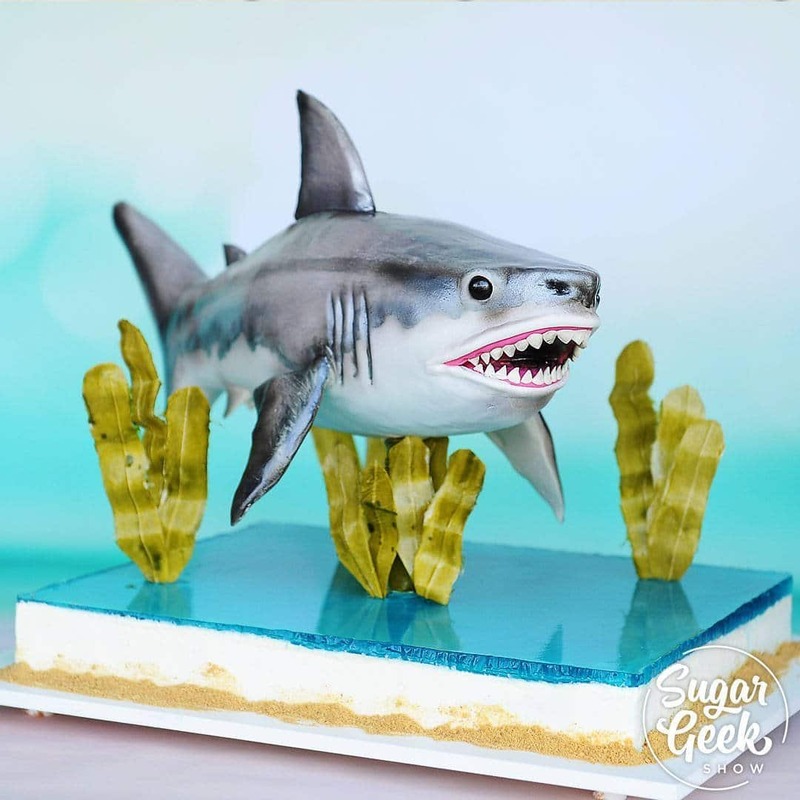 Sculpt a 3D shark out of cake, learn to paint details and make sugar eyes! All your guests will be wondering how this is really a cake!